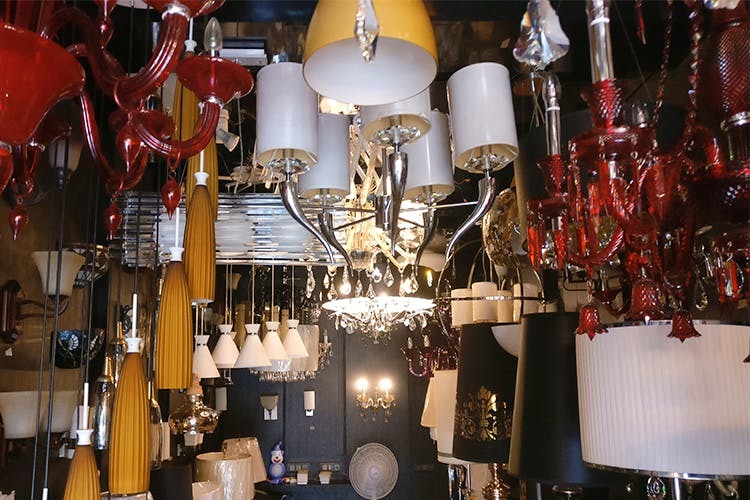 The Milky Way is a chandelier and lamp shop tucked away in Malviya Nagar. If your house is going through a makeover or you just happen to like pretty lights, this little shop should be on your go-to list. You might miss this light heaven as you walk through the streets of Malviya Nagar, so keep an eye out. The Milky Way has some of the prettiest lamps, chandeliers, and home fixtures we’ve ever come across. You can choose between a dimly-lit table lamp or a brighter-than-the-sun chandelier, subtle bedside fixtures or fancy living room lights – the choices are endless. They’ve been around for over 20 years, so you can sure expect to be blown away by their variety, selection, and expertise in making any space lit (pun intended). The lights start as low as INR 550 and we were told they go up to INR 7.5 lakh (start saving?). Parking might become an issue here since the roads aren't too wide, so make sure you keep that in mind before you head here for lamp shopping.